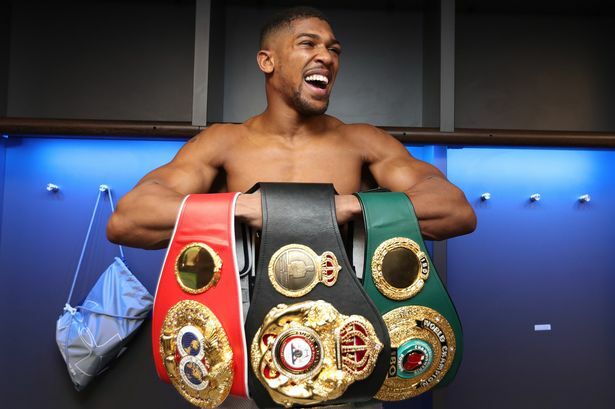 WBO champion Joseph Parker’s promoters, Duco Events, have noted comments from WBA and IBF champion Anthony Joshua’s promoter Eddie Hearn that a 75-25 per cent split of revenue in Joshua’s favour from a potential blockbuster unification bout in 2018 would be “undervaluing” Parker. “We’ve said all along that a 35-65 per cent was both fair – and our bottom line,” David Higgins of Duco Events said. Hearn made the comment in an hour-long video posted to You Tube following Duco Events holding a media briefing in Auckland to illustrate Joshua’s habit of ending up on the canvas when being hit with power punches. Mr Higgins said Hearn’s lengthy monologue was also clearly intended to distract from the real issue – “that a growing number of fighters who have shared a ring with Glass Jaw Joshua claim to have put him on the canvas”. Mr Higgins reiterated that an offer of a £20,000 bounty for anyone who could produce evidence of Parker having been dropped at any time during his career still stood. Meanwhile, veteran American promoter Bob Arum says he is perplexed by the Joshua camp’s rejection of a 35-65 per cent revenue split weighted in their man’s favour. “I’ve been in this sport for decades and I can tell you that in a unification fight like this that split is more than fair,” Arum said. “Joshua has two belts and Parker has one – so 65-35 is about right. I can’t see why Eddie Hearn doesn’t see it as reasonable. Parker himself is encouraged by recent events but insists his bottom line will not be shifting. “I want to test myself against the best, so this is a fight I really want,” Parker said. “David Higgins is doing everything possible to make it happen and he seems to be flushing out A.J.’s real position. If he won’t entertain a 35-65 split, then it’s pretty obvious he doesn’t want the fight to happen.